Turkeys are happy to eat just about anything that you give them. Families raising turkeys usually use them as a convenient disposal for anything left over in the fridge that no one wants to eat. 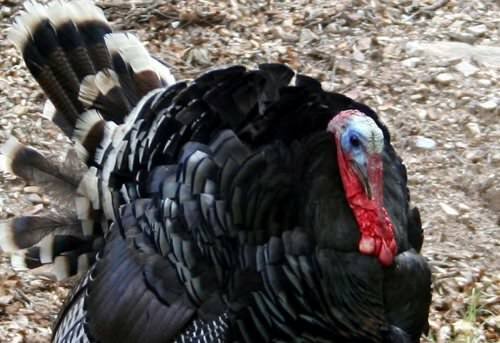 Willing to eat anything from vegetable peels to overripe fruits, turkeys are very low maintenance. Their main diet, though, should be turkey mash and poultry pellets. You can get these from any store that sells poultry supplies.